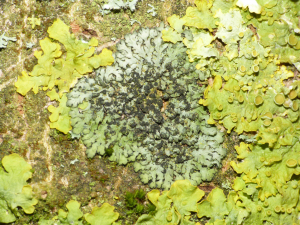 Observation - Lichen on tree trunk - UK and Ireland. Description: I've only tried to ID this with online keys but not succeeded. I've only tried to ID this with online keys but not succeeded.